If there is one cuisine (apart from an eclectic mix of many other) I had to eat all my life, I would probably choose Gujarati. Why not? Their spices are mild, every dish is invariably vegetarian, made with fresh vegetables at that, and most of the dishes have a slight sweetness to them. So yes, why not? I first tasted Gujju food in this wonderful little restaurant in Madras called Mansukh’s Sweets and Snacks. It is quite a famous place to eat in my locality back home and the Gujarati Thali you got there used to be unparalleled. Yes, I used the past tense because the quality has pretty much gone down the drain now. When it used to be an awesome place to dine at, I got a chance to do a feature on them for the Newspaper I was working for. After the interview, the owner of the store gave me and my friend (who was the protographer) some Basundi that s the most decadent dessert I have ever tasted! But apart from a vestige of better known Gujarati fare, Mansukh’s never served anything more native. So I decided to dig deeper and find foods that we can enjoy at home instead of dream about another visit to the restaurant. My favorite place to look for Indian food, Tarla Dalal’s literature, is where I began. 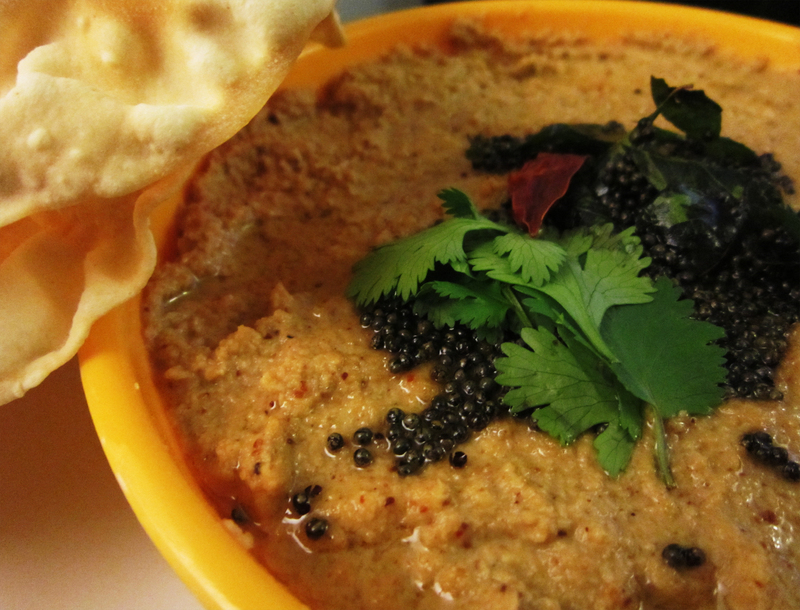 I bought The Complete Gujarati Cookbook off Amazon (thank you very much, Prime!) and proceeded to turn pages, admiring the simplicity of Dalal’s narration and the wholesome Gujarati foods she has featured in the book. I sent her a silent thanks for not including the usual suspects like Khakra and Jalebi and proceeded to examine the book with much care. 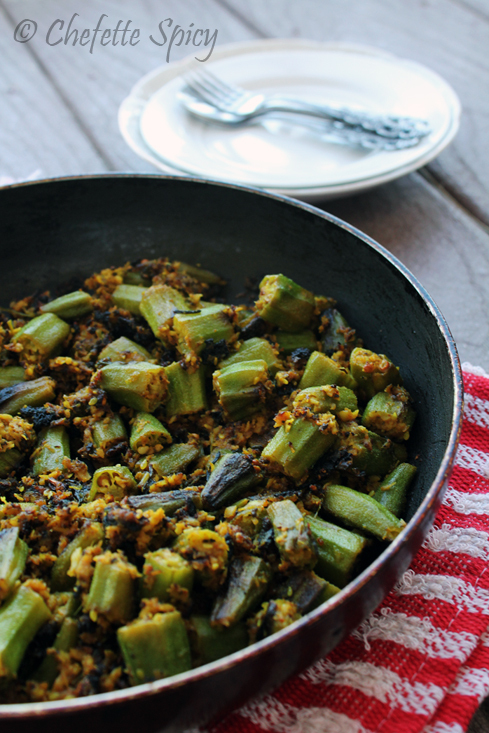 If you dice the okra, mix it with the Masala paste. 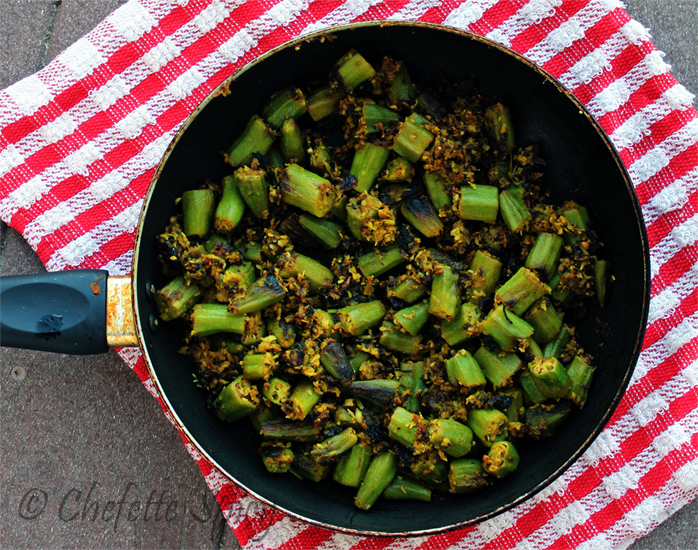 Heat oil in a pan, add the okra mixture, put a lid on and cook it on medium-low heat until the vegetable is cooked. Make sure you give it a gentle mix a couple of times in the middle to prevent burning. If you slit the whole okras, stuff the Masala into it and cook it exactly like I have mentioned above. Adapting either of the methods doesn’t alter the taste. I should probably not call mine “Sambhariya” but I exercise my blogger license here since I adapted it from the traditional recipe. Categories: amma, Chennai, Childhood, Family, Food, Indian, Indian, Recipe, Subzi, Tarla Dalal, West | Tags: adapted, bhindi, coconut, cookbook, cuisine, feature, fresh, gujarati, gujju, mansukh's, sambhariya, tarla, tarla dalal, west india, writing | Permalink. So I decided to test a recipe for one of Food52.com‘s community contests. I initially wanted to enter a recipe but the mandatory ingredient for the contest was coconut and I had run out of it only the day before I chanced upon the project. Such a weird thing in a household that consumes fresh coconut as much as any vegetable. Anyway, I decided to test one of the entries, the Coconut Milk Caramel and boy was I glad I chose this one! It was the first time I tried my hands at making caramel, without a candy thermometer at that. It came out pretty well, although I suspect I should have let the toffee simmer for a couple more minutes because it was a tad gooey. I also skipped the coconut essence because with the coconut milk and toasted coconut layer, I figured an addition of something intensely concentrated like coconut essence would break the dish more than build it. I don’t know if I made the right decision but the end product was so darn delicious! The next time I make this (and I am pretty sure I will! ), I will try it with the essence. Until then, I shall do my best at resisting these lovelies. Oh and I finally got to enter my previous post, the creamy saffron-infused Kulfi for the website’s next contest called Your Best Frozen Dessert. This is not a shameless plug but if you have time, you should check this one out. They have a huge collection of delicious frozen treats on display! 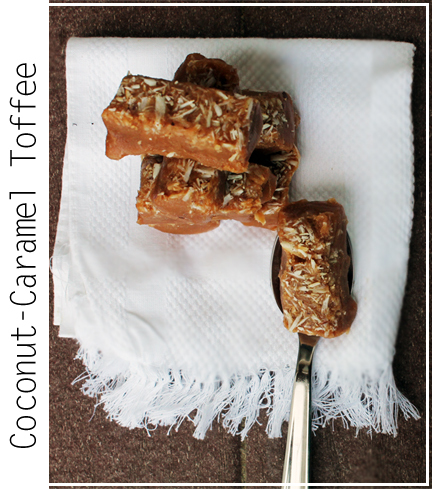 Categories: Cakes and Desserts, Dessert, Food, Food52 | Tags: caramel, coconut, toffee | Permalink. Holidays and winter: two good reasons to think of comfort food. The holly comes out, the heater drones its monotonous tune, you start craving for some good comfort food. But like every Indian worth his salt, even the confused wannabes who tries to go far, far away from the Desiness, I prefer Kootu to Mac and Cheese, spicy Rasam to Meatballs. 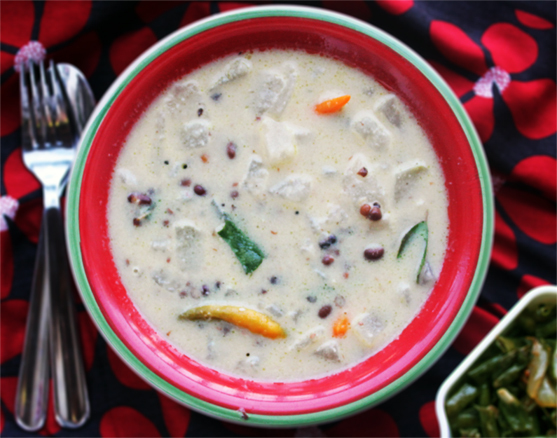 So today, I decided to go ethnic here on LH and record something Indian and tasty at that! For people wondering why I don’t do that more often, I would like to inform you that this is a confused Indo-western blog that is still trying to find its footing (which it may never, I suspect). Hence, I decided to bring on the joy of Indian cooking by making Coconut Thuvayal with some hot rice and Appalum. For the initiated and the un, here is some Gyan: Thuvayal or colloquially, Thogayal, is made of a combination of roasted Dals (lentils), dry red chilies and a variety of different veggies, roots or veggie skins and tamarind, which is optional. Today I decided on the Mister’s favorite, coconut. 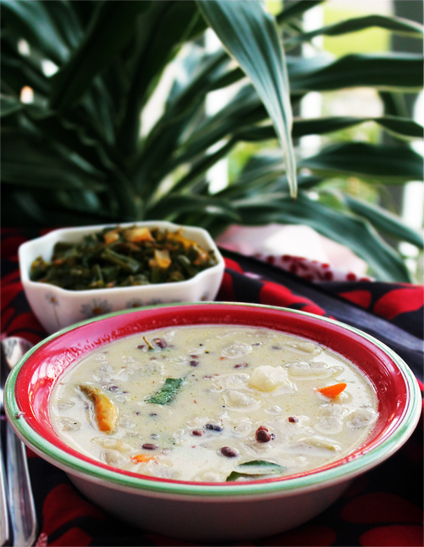 Though Thuvayal is generally considered an accompaniment, at home, it gets the special treatment of a main dish. So I made a whole lot. 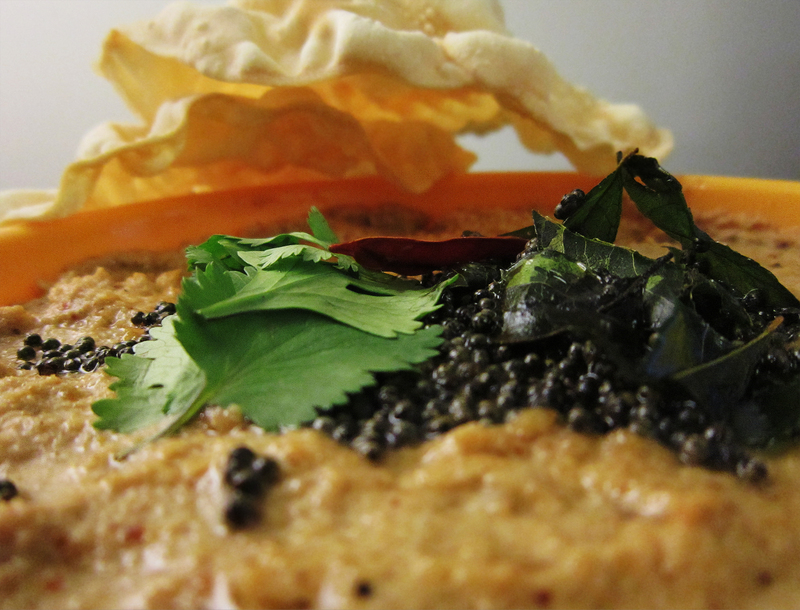 Fry everything together except the coconut, tamarind water and salt. Mix with the rest of the ingredients. Add a little water and grind finely. When I say fine, I mean super-fine. Adding more water will not be a mistake because the Thuvayal tends to get thicker when stored. Fry the mustard and curry leaves in oil. 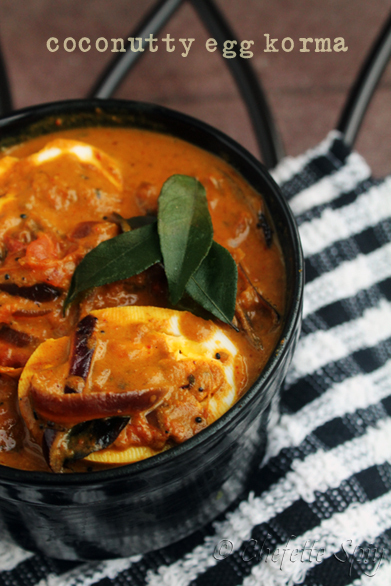 Pour on the Thuvayal, garnish with coriander leaves. I am going to let you in on a family secret. I learned this from my mum-in-law. She always saves the stalks of the coriander leaves bunch she buys and adds them in Thuvayal. This adds extra yummy flavor. Try it. So result time! (At the risk of sounding like my lab instructor) Hubby came home to the wonderful fragrance of freshly cooked rice, Thuvayal and Appalum. Dinnertime came early, at 6pm. Need I say more? 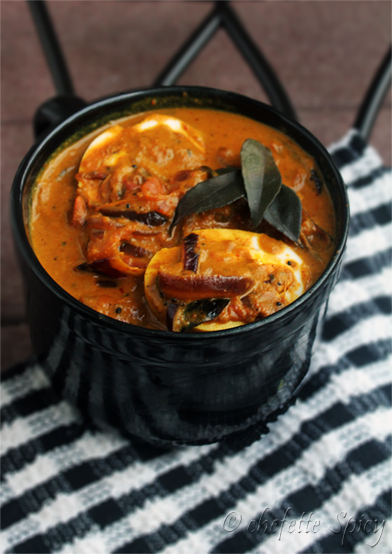 Categories: Food, Recipe | Tags: coconut, comfort food, Indian | Permalink.